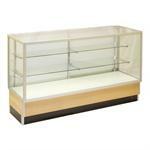 American Store Fixture offers a large selection of showcases for your retail store! 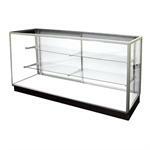 Present your merchandise to customers in an attractive and effective way with countertop display cases, economy showcases, 3 tier tables, extra vision showcases, round tables and more. 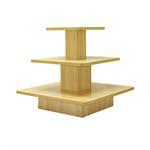 Our retail showcases are the perfect choice for virtually any retail store. We offer low to high end showcases to help cater to your specific budget. 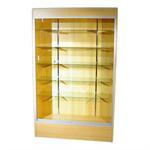 We carry retail showcases from aluminum frame counter styles to glass tower showcases. 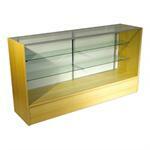 Not only will you find the best selection of retail showcases, but also the best selection of showcase accessories. 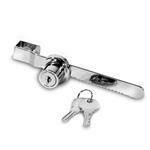 At AmericanStoreFixture.com, we take pride in offering the very best products for your retail store. If you can’t find the perfect retail showcases on our site, we have a mill shop in house to design custom showcases that perfectly fit into your store. If you would like a free estimate on custom work, please see our millwork section and photo gallery or contact us for a free consultation. Whether looking for countertop display cases, retail showcases, 3 tier tables or custom showcases, make AmericanStoreFixture.com your first choice!